The BBBA is a growing collection of baseball bloggers with the general purpose of collaborating on projects or being a reference for each other – and especially in terms of promoting in social media like Twitter, Facebook and Podcasting. Chapter Presidents – Fantasy Baseball, General, History, Misc. The 2016 MLB postseason is officially in full swing as the remaining eight teams battle for the right to hoist the World Series trophy within the next few weeks. This also means that 22 other squads are already turning the page with their eyes set on making a run at October in 2017. Every organization goes into a season with the best of intentions, but a lot can happen over 162 games – both good and bad. For a number of teams, the bad outweighed the good, which is why an invitation to play in the postseason never arrived in their respective mailboxes. Max Scherzer- Easily the top pitcher on the day. Mets haven’t been hitting well of late. Should get plenty of strikeouts and a shot at the W.
Carlos Martinez- Brewers have combined to hit 13-56 of Martinez, and are one of the worst offenses vs. RHP’s this season. Danny Salazar- Right now the Yankees offense is a hot mess. Only down fall here is they don’t strike out much, which limits his upside. More of a GPP play here. Lance McCullers- McCullers has great strikeout numbers but at 4 walks per 9, it runs that pitch count up in a hurry that being said, a matchup with Oakland could offer some nice fantasy value. Rick Porcello- Only there Rays really have good match ups vs. the Boston righty, but the Rays as a whole have been horrible this season vs. righties. Porcello is in play in cash and GPP for me today. Matt Bush has quite the comeback story. Twelve years ago, in 2004, Bush was drafted as the #1 overall pick by the San Diego Padres. Unfortunately, his life was turned upside down by alcoholism. He found himself behind bars after his third DUI, which was a hit-and-run in 2012. Since being released on October 30th, 2015, he has turned his life around and he is finally back on track. The Mets made it to the World Series in 2015 after a subpar start heading into the Trade Deadline. With a ton of pitching and some decent positional players still on the roster, they could set themselves up for a lengthy run in the NL East. Especially if they can coordinate a couple of trades near the Trade Deadline. While they may have started slow, the bats are alive and well, and the rotation should come around soon. They are this week’s best odd. The Nationals asserted themselves on this leaderboard thanks to a quick start. They were my 2nd best bet last week at +1100. Now the odd at +650 is not worth any money at all. Since Washington was able to play so well, this has created the perfect storm to put some more cash on the Mets. At +1300, New York is just begging for a wager. The strength of schedule to which the Nats have played has definitely factored in. 2 series versus the Braves and Marlins and one against the Phillies already, Dusty Baker‘s club has had about a ‘cupcake itinerary’ as you possibly could find. It gets better for the District’s squad, as they go home for another series with Philadelphia – that comes on the heels of a weekend Interleague series versus the Twins. If Washington wins those 2 series, they should be about 15 or 16 wins after 22 games. They should cement themselves in the playoffs with an easy NL East opponents schedule all year. I just want to see them play some tougher clubs. The Mets offense has sprung to life behind the backs of Yoenis Cespedes, Neil Walker, David Wright and Michael Conforto. When the Pitching Rotation settles in a little bit, they should take off. While Washington is leading the Division, they have yet to face the NL reigning pennant winners. The division win could come down to the 19 contests between the two clubs. Disclaimer: We based these rankings on best strength to win the World Series. Therefore some teams that have an easier division to play in, with the least path of resistance to the postseason overall may be ranked a lot higher than a club who is equally talented, yet may play in a juggernaut of a division. The Cubs will top our list for a second straight week despite losing 2 out of 3 games to the Rockies at Wrigley Field this weekend. The biggest reason is the pitching. Jake Arrieta is 3 – 0, and has picked up right where we he left off in 2015, and Jon Lester has thrown awesome too. The Bullpen has also been good. The bats are too solid not to come around and gel as the season moves along. They are playing .750 baseball after a 4 – 2 week still. Max Scherzer, Stephen Strasburg. Bryce Harper and Daniel Murphy are their top players – and all performing like it, the rest of the club is following through in their secondary roles. This team is scary. I have the Royals as the top American League club. This squad is 8 – 1 in games that are not started by back end of the rotation man Chris Young. The reigning 2 time pennant winners have company on the top of the Division to make it interesting, however this team has the better pedigree the last few years. Some may say with a weekend series win – that the Dodgers should be put in front of the Giants, yet they are still only one game ahead of San Francisco. With the Giants – there is no real weakness, while with the Los Angeles team, the Bullpen is not giving everyone confidence in the back half of games. The Mariners were blanked last night 8 – 0. Seattle is now 0 – 5 at home, and can’t buy any hits on home turf. 7 runs in 5 games is not the way to start your campaign at Safeco Field. This is not foreign territory for the Mariners, who routinely have the worst batting numbers at home every year. Playing games versus AL West counterparts the A’s and Rangers – they have posted just an .486 OPS while at home in 2016. A quick start by Robinson Cano has quickly faded into a Batting Average of .182. Dae-Hoo Lee and Adam Lind have collected just 3 hits in the eight total contests thus far. Kyle Seager and Ketel Marte have provided little punch from the Left side of the infield. I expect Seager to turn himself around, but I was one to always question why the franchise didn’t go outside the squad to bring in a new veteran shortstop. Both clubs were eliminated from MLB Shutout Survivor, and must get their lineups back in order, or they will also fall way back in MLB Runs Scoring Survivor too, having picked off all of the low run scoring totals. The Padres were blanked for a 4th time in 8 games, and still only have 3 different variations on their season. This is tied with Tampa and Detroit for the fewest marks off the scoresheet, but they have played one more game than the Rays and 2 more contests than the Tigers, so they are ranked 30th in this competition. Chicago continues to lead the movement to all 11 runs scored scenarios, with having plated a different amount of guys in every single game thus far. All they need to complete this competition are run totals of 0, 1, 3 and 8. 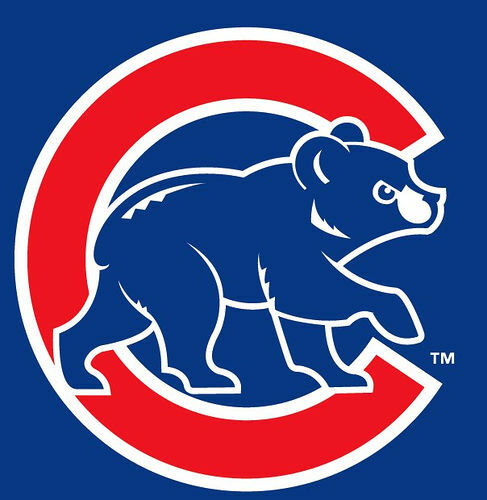 (1) Chicago Cubs (5 – 1) (1): The Cubs weathered the loss of their slugging OF Kyle Schwarber this week – by taking 5 of the 1st 6 games played, and all on the road. After these 6 contests – the squad is outscoring their opponents 42 – 15. Love the idea of setting the table with Dexter Fowler, Jason Heyward and Ben Zobrist 1-2-3 prior to the boppers coming after in Anthony Rizzo and Kris Bryant. Having the 2015 NL ROY may help Rizzo win the NL MVP this season. He had 10 RBI this week – including a 6 RBI effort. Jake Arrieta is already 2 – 0, and this team shows no signs of slowing down. (2) KC Royals (4 – 1) (2): This club just knows how to win with the dominant Bullpen and clutch hitting. They have only yielded 11 runs thus far, and this team has not even hit huge strides on offense yet. The BBBA is a growing collection of baseball bloggers with the general purpose of collaborating on projects or being a reference for each other - and especially in terms of promoting in social media like Twitter, Facebook and Podcasting. Click the Contact Us Page If You wish to join. Who Were the Top-Performing Hitters at Each Lineup Spot During the 2016 MLB Season? Paul Francis Sullivan has done at least a 20 minute show every day consecutive since 10/24/12. Please call him Sully. Click the next widget's play button to hear the latest podcast. Jorge Colon DelgadoI am interested in becoming a member. MLB reportsReblogged this on MLB Reports. The Clay Buchholz Head-Scratcher: Didn’t the Phillies Have Better Options?